Waterscorpion (genus Ranatra): This unusual looking insect is likely a brown waterscorpion (Ranatra fusca). This elusive type of true bug (order Hemiptera) spends most of its time living and hunting under water. 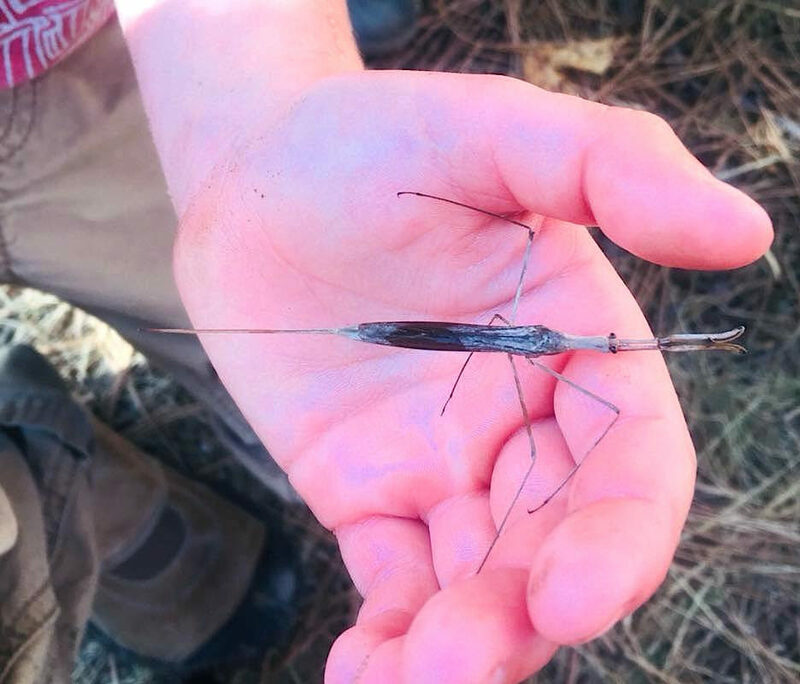 Looking like a stick, they pretty much disappear along the edge of ponds where they perfectly blend in with grasses and twigs. The long stinger-like tail is a pair of breathing tubes that enable this insect to remain under the water’s surface, sitting patiently for a meal to wander by (tadpole, other insect, small fish, etc.). Photo by Jill Cater on 9/18/18 at Lee Metcalf Wildlife Refuge.